We are your local junk removal experts, and have been since 1994! We are committed to doing things the right way the first time and will always do what we say we are going to do. 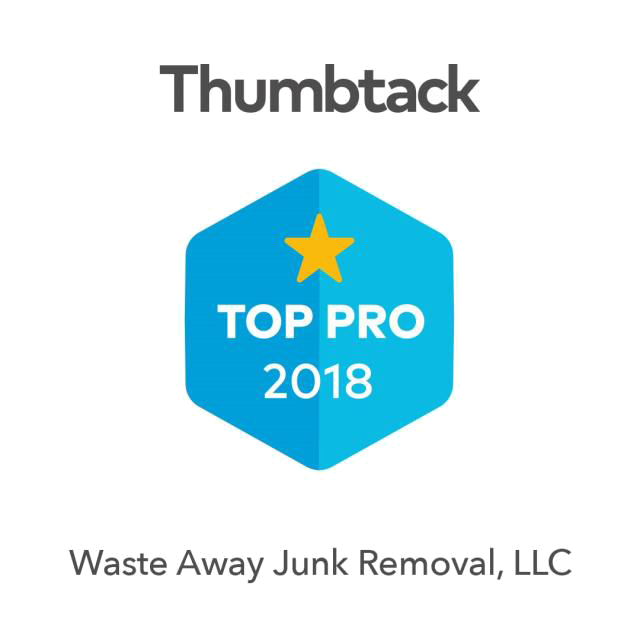 We have built a reputation on being on-time, professional and treating your property with the utmost respect while we are taking care of your junk removal. Businesses & Families have been relying on us for over 20 years and we have been meeting our end of the deal since our beginning. Waste Away Junk Removal, LLC is not a licensed waste hauler/transporter of hazardous materials (Hazmats). We refuse the right to decline the removal/hauling of toxic chemicals / highly flammable liquids such as gas, propane tanks, oil and thinners. We haul away full and empty paint cans, empty gas cans and simple household chemicals.We recycle all spoils that are hauled away. All metal goes to the scrap yard and all household junk is hauled to the transfer station or landfill. All spoils are dumped legally according to government regulations. We also donate items that are in decent condition to people in need. Waste Away Junk Removal, LLC is a proud donator of furniture and clothes to a qualified 501(c)(3) charitable, religious organization. Call 781-971-0024 today for a free estimate. For over 20 years our clients have trusted us to clean up their unwanted items with the highest standards of safety and quality. Learn what sets us a part from our competition. From industrial clean up to home appliance removal and everything in between Waste Away Junk Removal can save you the time and energy of removing unwanted waste. We stand behind our promise to provide a thorough clean up of any waste materials you need removed from your property. Contact us today for a free estimate!